Welcome to the beautiful community of Sunset Harbor located in Navarre Beach, Florida. Are you and your friends and family planning a vacation? Sunset Harbor is the place for you! With beautiful beaches and plenty of family-friendly activities, this location is sure to make for an unforgettable vacation experience. Sunset Harbor sits on Navarre Beach, which is an island of land dividing the Santa Rosa Sound and the ever beautiful Gulf of Mexico. This tri-level complex provides incredible sunset views. 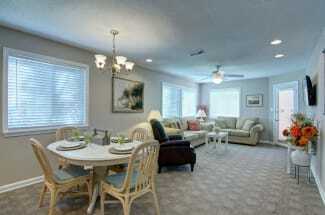 The complex offers a community pool and easy beach access. After a long day on the water, enjoy a cookout at one of the gas grills with the whole family. While in the area be sure to visit the gorgeous beaches for days of swimming, surfing, and beach sports. Don’t forget to catch some rays and get your tan on while on the beach. Are you traveling with young children? If so head into town and race go-karts or spend an evening playing miniature golf. With so many fun and exciting ways to spend your time at Sunset Harbor, guests are sure to have a truly memorable vacation! 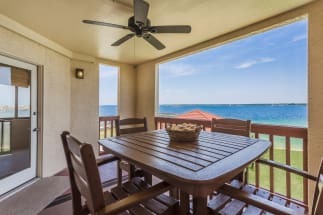 Browse our selection of Sunset Harbor condo rentals below. Booking directly with the owner guarantees that you will receive the best possible rates. Each listing is equipped with an "Email Owner" button and phone number for your convenience. Enjoy your trip to Navarre Beach, FL!